Patients with idiopathic pulmonary fibrosis (IPF) prescribed Ofev (nintedanib) or Esbriet (pirfenidone) in real-world practice have shown similar tolerability and adverse event profiles as those reported in large-scale clinical trials testing these drugs, according to recent research. For many decades, IPF treatment was limited to supportive care and lung transplant. This changed dramatically when Ofev and Esbriet were approved by the U.S. Food and Drug Administration (FDA) and the European Commission. Esbriet, developed by Genentech, acts by reducing inflammation and fibrosis, and Ofev, developed by Boehringer Ingelheim, inhibits several enzymes involved in the fibrotic process. Both therapies were shown in clinical trials to reduce lung function decline rates, with clinically acceptable drug tolerability and drug-related adverse effects profiles. However, clinical trial results may not represent a real-world situation in clinical practice, as trials usually don’t include cohorts of patients with severe IPF symptoms or significant secondary diseases (called comorbidities). The study, “Pirfenidone and nintedanib for pulmonary fibrosis in clinical practice: Tolerability and adverse drug reactions,” was published in the journal Respirology. Researchers from the Lewis Katz School of Medicine at Temple University in Philadelphia evaluated the effects of Ofev and Esbriet in a real clinical practice setting, and compared them with prior results from clinical trials. The retrospective chart review study included 186 people who were treated for pulmonary care at the Temple Lung Center in Philadelphia. 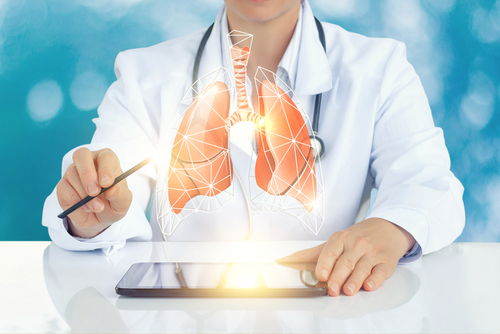 All participants had a diagnosis of lung fibrosis caused by IPF or due to other pulmonary conditions, including nonspecific interstitial pneumonia, chronic hypersensitivity pneumonitis, and connective tissue disease-associated interstitial lung disease. Among these, 129 patients were given Esbriet and 57 patients were administrated Ofev. Researcher found that the treatment-related adverse event profiles reported in clinical practice were similar to those reported in the clinical trials for the medications. Some of the side effects reported in the trials were actually less frequent or absent in the real-world practice setting. The most common adverse events were nausea (26.4%), rash/photosensitivity (14.7%), and dyspepsia/gastroesophageal reflux disease (12.4%) in patients receiving Esbriet. In those prescribed Ofev, common adverse events included diarrhea (52.6%) and nausea (29.8%). 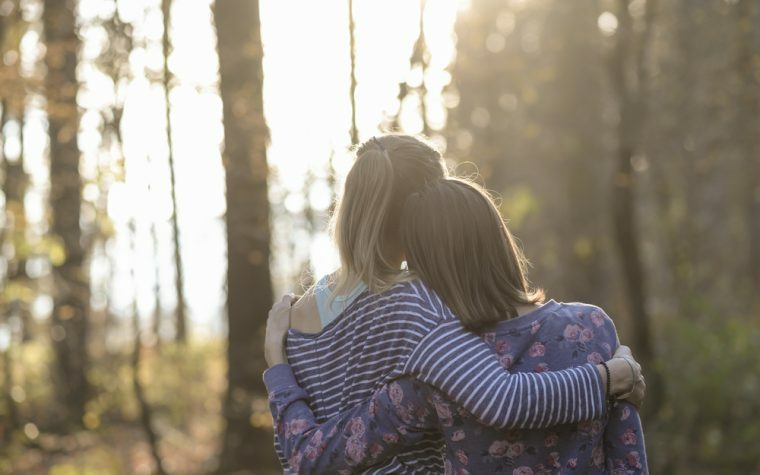 “Despite our subjects having greater baseline respiratory impairment and significant co-morbid medical conditions, adverse events and drug discontinuation occurred with a frequency similar to clinical trial data,” the authors stated. Overall, the researchers found that patients responded well to both therapies, with only 33.3% of the patients in the Esbriet group and 57.4% in the Ofev group having to reduce their dose or stop taking the drug. These rates were again similar to the clinical trial reports. During the time of the study, 16.3% of patients on Esbriet and 10.5% of patients on Ofev reported at least one acute exacerbation of pulmonary fibrosis, which was higher than observed in clinical trials. This may be due to the severity of baseline symptoms of the patients included in this study compared to those in clinical trials, the authors explained. “While it is promising that each of these agents appear safe to use in a broader cohort of patients than previously included in large randomized controlled trials, future prospective studies are needed to elucidate the efficacy of treatment with expanded prescribing practices,” the team wrote. Tagged clinical practice, clinical trials, Esbriet, nintedanib, Ofev, pirfenidone, safety, tolerability. 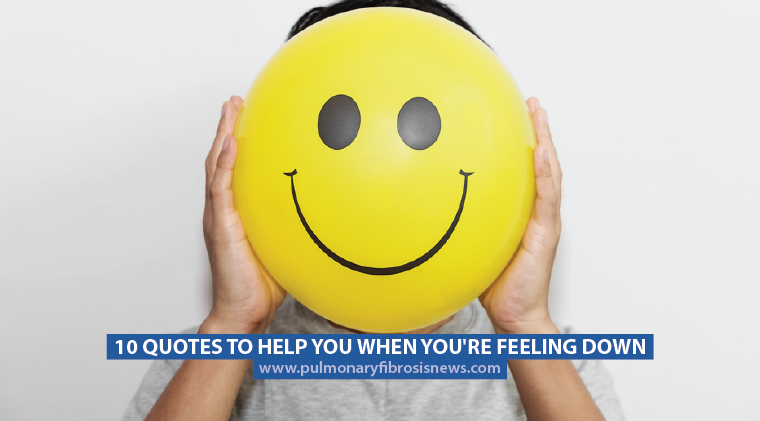 My pulmonologist has been hesitant to prescribe either Esbriet or Offer as he felt my IPF symptoms were not yet progressing to the point of interfering with the quality of life, versus the known the side effects of these medications. However, a recent CT scan have now shown a progression and I am more symptomatic of IPF. Are there any latest studies about actual patients and the amount of time they have been in treatment. What is the status of the clinical studies, and where are they being performed. I would also like more information on other more serious adverse effects of these medications not mentioned in your Newsletter that concerns my pulmonologist. I am a 77 year old retired nurse, female, and this is my only health issue. Dear Lois, you can find more details on the side effects of these drugs in their respective FDA approved labels (Ofev [https://www.accessdata.fda.gov/drugsatfda_docs/label/2014/205832s000lbl.pdf] and Esbriet [https://www.accessdata.fda.gov/drugsatfda_docs/label/2014/022535s000lbl.pdf]), that have information according with the clinical trials results. No current trials are ongoing to test long term efficacy and safety of these drugs, but according with the study described in this news post long-term results in real clinical practice setting are very similar to those reported during the trials. I hope this information was helpful for you. I have been on esbriet,the max dosage, for three years. No side effects at all yet. Liver enzymes checked regularly. It has helped me live a normal life thus far.